There are so many things to think about when you’re raising a child, but there are few things more important than their education. A child’s educational journey only happens once, so it’s important to guide them down the path that is right for them. 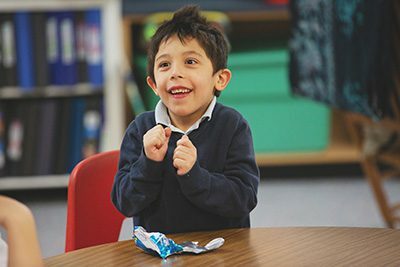 For many, a private school education is the right choice because of the personalized attention students receive. Complementing the academic experience, many private schools teach students to be responsible community members and encourage them to make a positive impact on the world. At Mounds Park Academy, our focus on every child’s individuality is one of the things that makes us so unique. We embrace every child, celebrate their differences, and help guide them to discover who they are truly meant to be. Teachers are not bound by test- score data as the sole measure of a student’s abilities, so they have more freedom and flexibility to accommodate individual students’ needs. Small class sizes allow teachers to better evaluate their students’ academic and personal strengths and challenges. Teachers engage with students every day in ways that help them thrive. 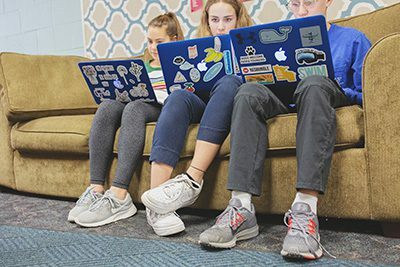 at helping students see how lessons connect to the world around them. This makes learning fun and creates a culture where students engage more fully. Our goal is that students feel supported at every turn. “When you have fewer students in each classroom and an academic environment that demands that students take risks, learn through failure, nurture their creative capacity, and celebrate others’ viewpoints, you emerge with a community where free expression and student-directed learning is the standard,” said Craig Dodson, MPA director of admission. At MPA, students also have access to more educational time. We’re proud of the fact that we have 10 percent more classroom time than most area public schools and eight percent more than most area private schools. This means that students who choose MPA have nearly 100 more hours of educational instruction throughout the academic year. Another benefit of a private-school education is the opportunity to pursue a multitude of offerings. In contrast, at a larger school, it can be challenging or impossible for students to pursue multiple activities. In fact, students at some schools might not even be able to participate at all if there are only spaces available for top performers. At MPA, everyone is welcome and encouraged to pursue their passions. We have dozens of after-school activities, in- school clubs, and organizations to join. We also require world language, art, music, drama, and physical education throughout our entire PreK-12 experience. 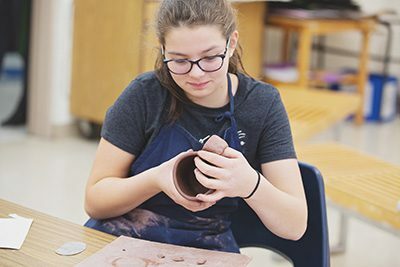 With small class sizes and many different academic and co-curricular activities to choose from, students who attend private schools have the opportunity to build strong personal connections with other students and teachers. Because of the tight-knit community, even parents develop strong bonds with faculty members and other parents within the school community. When people visit MPA for the first time, they are often surprised by how compassionate our students are and the genuine nature of the entire community. Students who attend MPA often think of the school as a second home. Preparing our students for a bright future. It’s not enough in today’s complex world to simply prepare students academically. As educators at MPA, we know that we must do more, which is why we teach students to act with respect and integrity. We expect our students to care about one another and the world around us. Our students must be open to new opportunities, willing to take risks, and be able to grow from the challenges they face. We want our students to forever live out our motto to dream big and do right. about MPA. Apply at moundsparkacademy.org/apply by the priority admission deadline on February 15, 2019. Please keep in mind that space might not be available after this date and financial assistance will be limited or unavailable. We’re eager to get to know your entire family and help determine if MPA is the right fit for your student. If you have any questions related to the MPA admission process, please contact the Office of Admission at 651-748-5577 or admission@moundsparkacademy.org.